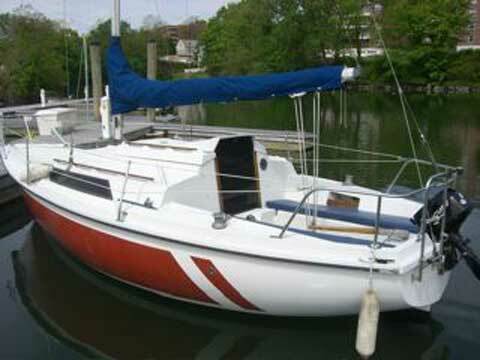 With no qualifying remarks, I can say this may be the best designed and built 22 foot sailboat you will ever see! 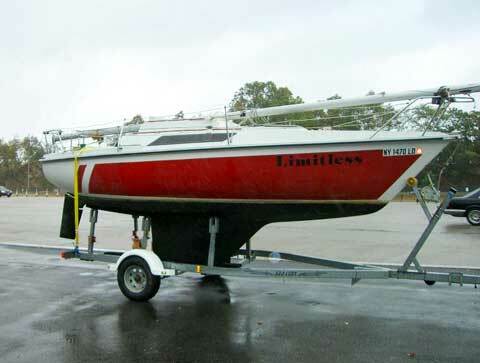 Boat Name: "Limitless"
In very good condition; she is a jewel built in Canada (and France) with few that made it to the U.S.A. She's fractionally rigged with an adjustable backstay. 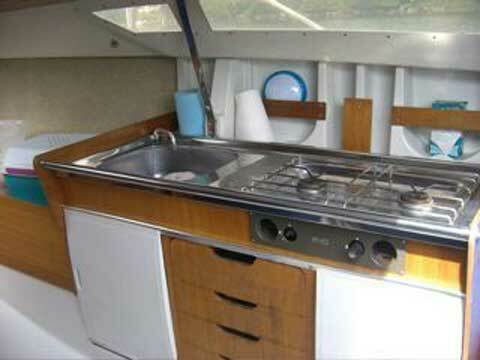 Ranked # 1 boat of the year in the Paris Boat show 1980.
and a large colorful light air genniker with snatchblocks. 882 lb fin keel ( close to 200 lbs heavier than a Catalina 22.) with only a 3'3" draft! 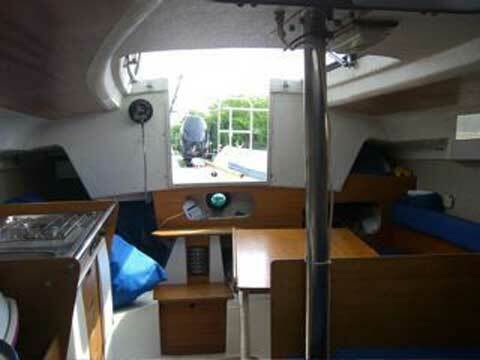 All exterior teak is in excellent condition having been refinished and handrails rebedded. 5 hp Mercury 4 stroke long shaft outboard with new gas tank and fuel line (has only been run only a few hours and is in perfect condition). Sea Lion trailer that is in excellent condition (this trailer has only been in the water once and has never carried a boat until the fall of 2008). Tows nicely with a six cylinder. Weight of boat and trailer combined is about 3200 lbs. 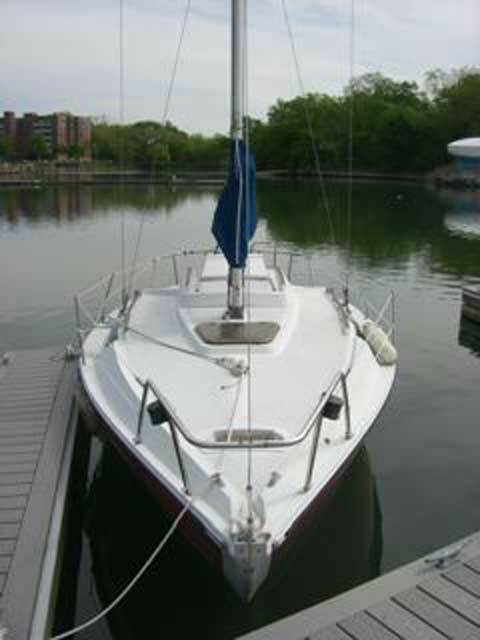 Ready to trailer/ sail anywhere and is sure to please. Handles a a stiff breeze quite well and is safe and stable family boat (or for a couple). This boat sold about a month ago to a nice couple who drove all the way from TN to get it.